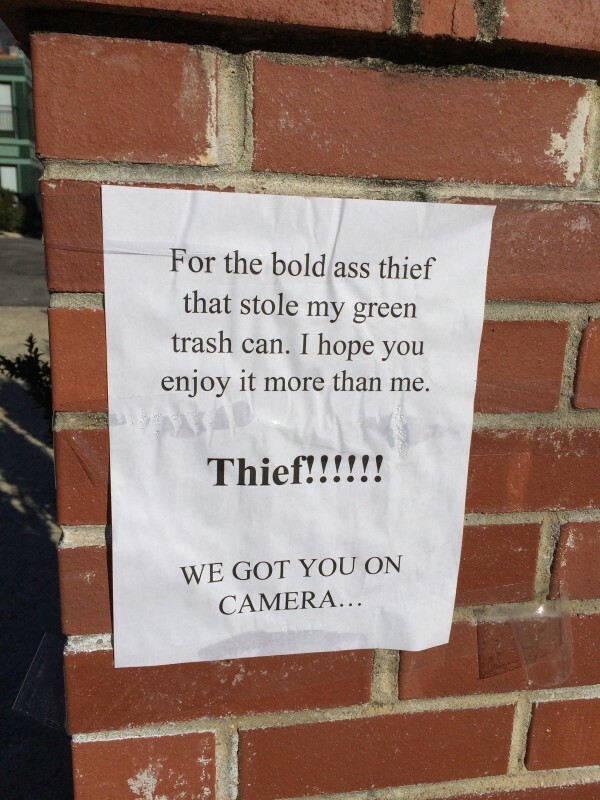 Several neighbors reported their trashcans stolen last week. One neighbor also reported following her can’s tracks in the snow in the sidewalk, but losing the trail blocks away at Florida Avenue, where the snow had melted. Another resident posted the frustrated notice above. Kevin Twine, the spokesman for the Department of Public Works, the District agency that collects trash and recycling and plows the streets, advised residents the discourage theft by “painting your address on your containers in the most garish way possible”. Does anyone have any magenta paint and Comic Sans stencils I can borrow?